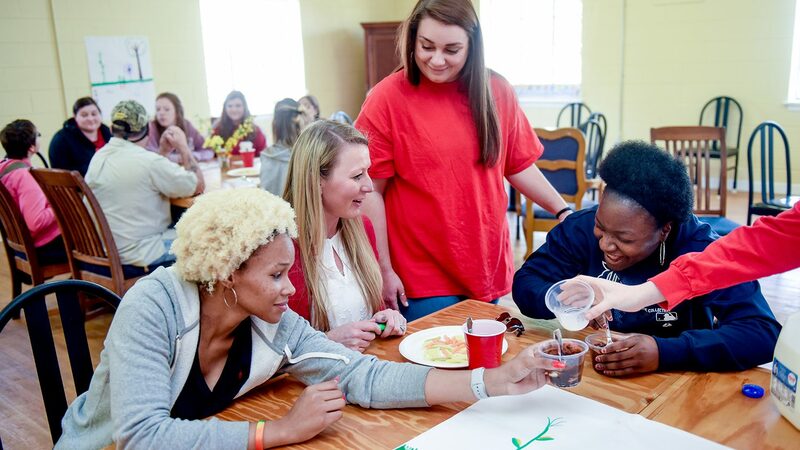 Joy Morgan’s Teaching Diverse Learners class develops creativity and flexibility in future agriculture teachers who must accommodate students with a variety of needs in a single classroom. roll their eyes or make gagging sounds. It’s CALS day at the Reality Center, a Durham nonprofit focused on teens and adults with developmental disabilities. About a dozen students from Joy Morgan’s Teaching Diverse Learners class are rolling out their first lesson of the semester — and their first ever to a classroom of students with a variety of needs. Today, a few use wheelchairs. Others rarely sit still. 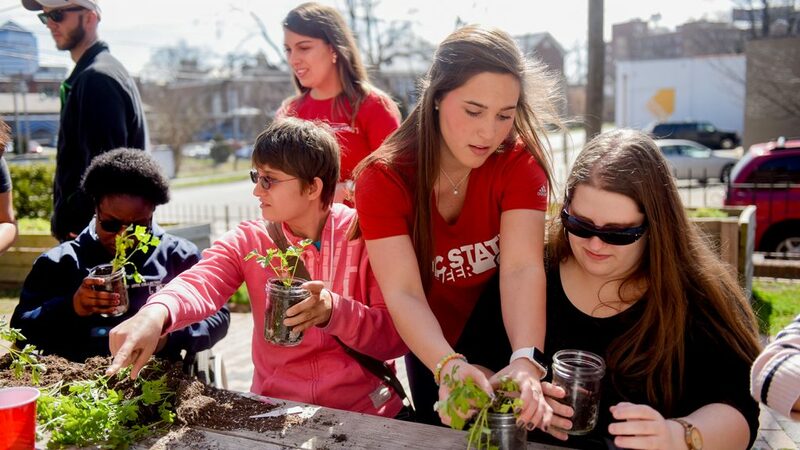 Morgan’s students have prepared two flexible lesson plans: learning about agriculture by making soil cups, and how to plant mason jars with parsley or cilantro so they can watch them grow the rest of the semester. The Teaching Diverse Leaders class started as a special topics course by Elizabeth Wilson, now director of the Agricultural Institute. At the time, Wilson said, data showed more than 50 percent of freshmen high school students with some type of special need or individual education plan. “Our high school teachers were overwhelmed, because they had no prior experience working with people with disabilities,” Wilson said. 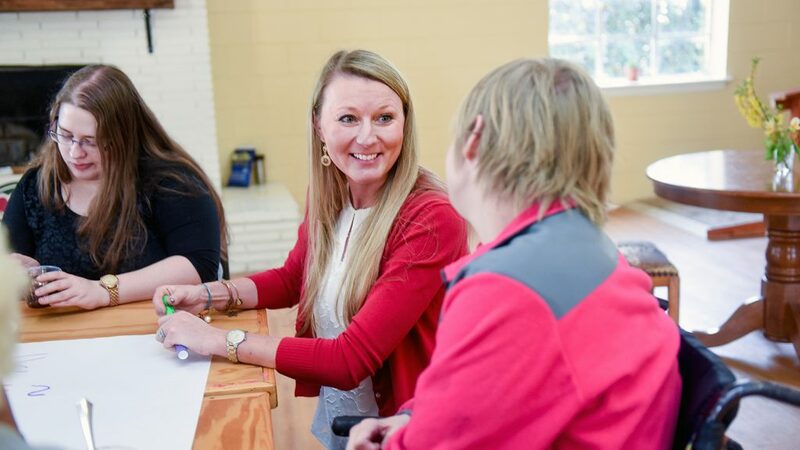 When Morgan took over the class, she set up partnerships with both the Reality Center and the Governor Morehead School for the Blind in Raleigh. In their professional lives, CALS’ future agriculture educators will need the flexibility and know-how to reroute a lesson plan or develop a new one based on each student’s needs. Morgan is a new faculty member — she was made assistant professor in 2016 — but has deep roots at CALS. She earned her bachelors, masters and doctorate here in agricultural education, then returned to teach. Because agriculture classes are very hands-on, collaboration with facilities like the Reality Center is crucial. Last year, a student with cerebral palsy found that his motor control did not allow him to fill a mason jar with soil himself. One of Morgan’s students filled it for him, while encouraging him to touch the soil and smell the cilantro instead. What are the various healthcare models that exist in the world?